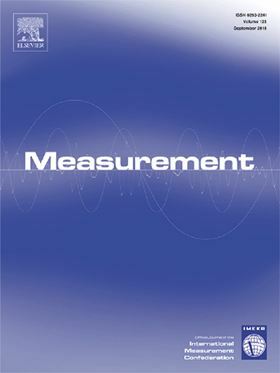 The research article 'A multi-sensor approach to remaining useful life estimation for a slurry pump' will be published in Elsevier journal Measurement. Slurry pumps handle abrasive and corrosive working fluids and their degradation rate can vary significantly depending on the composition of the slurry, making maintenance scheduling challenging. The paradigm of condition-based maintenance with accurately predicted remaining useful life (RUL) has the potential to significantly save on the total cost of maintenance. In this paper, a new methodology is presented for the RUL estimation for slurry pumps based on the fusion of data emitted from multiple vibration sensors, which enables the construction of a more reliable degradation index. Subsequently, the trend of the new degradation index is predicted using a Kalman Filter to estimate the parameters of a degradation trend line. Finally, an interval estimation of the RUL is obtained by analytically extrapolating the state space model to a pre-defined threshold. The proposed method is deployed to estimate the RUL for a slurry pump in a real production environment with multiple maintenance events, in contrast to previous studies which use limited, single run-to-failure data sets. The results show that the suggested method is capable to predict the RUL of the available datasets, even in the case where one channel is malfunctioning. Access the complete article on ScienceDirect. A theoretical model for predicting pump-as-turbine energy performance is proposed and investigated in three centrifugal pump case studies. This study aims to optimize pump operations in order to save energy and enlarge the operational life of pumps and their components. The effects of modifying the blade pressure side (EPS profile) on unsteady pressure pulsations and flow structures in a centrifugal pump were studied. Dry running leads to a surge in pressure, flow or overheating that will instigate a pump failure. As a result, the pumping elements seize up on the shaft.